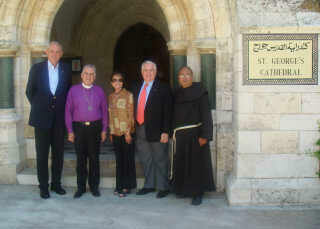 Through the generous support and work of the Anglican Order of St. John, the St. Johns Eye Hospital in East Jerusalem cares for the needs of the mostly Palestinian population. Here, there exists a particular problem in a population plagued by eye diseases caused by the desert environment. 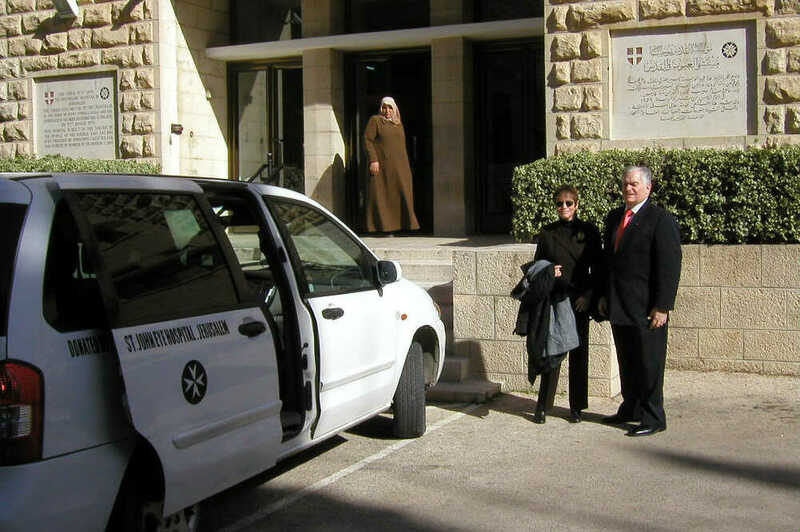 Israeli physicians work at St. John's and train Arab technologists and physicians. Here Israelis and Arabs work together for the common good, showing how cooperation and mutual attention to need, over rides political differences. Many of the Israeli and Palestinian cooperative initiatives were funded through the Peres Foundation for Peace of Tel Aviv. PTWF has worked to help to establish Israeli policies for humanitarian and emergency boarder crossings between Palestinian and Israeli checkpoints, cutting the travel time of emergency medical vehicles. Left photo- Gary and Meredith Krupp of PTWF tour the St. John Eye hospital. 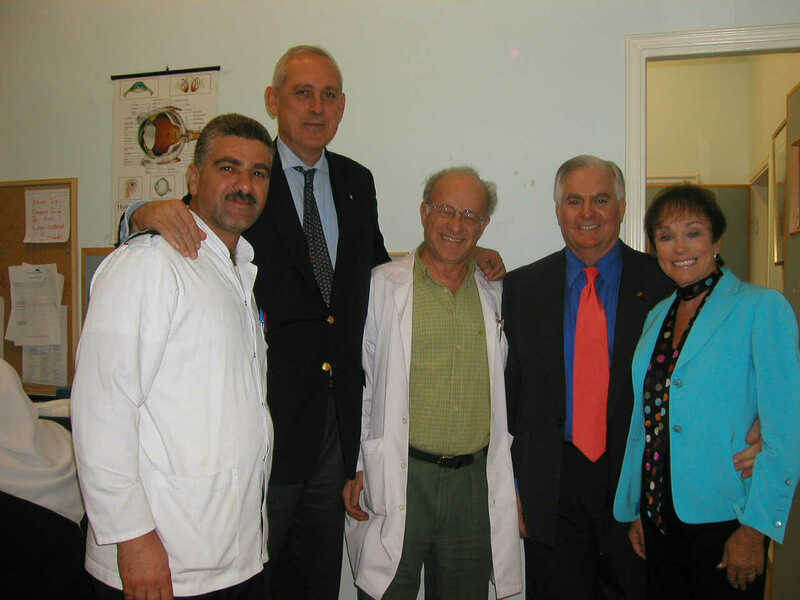 Right photo- L to R- Arab Doctor Ghassan Modieh, John R. Drexel IV, United States Prior of the Order of St. John, Israeli Doctor Professor Saul Merin and Gary and Meredith Krupp. The Rt. Rev. Suheil Dawanil, Episcopal Bishop of Jerusalem, John Drexel IV, with Gary Krupp and Fr. Angelo Ison of PTWF.